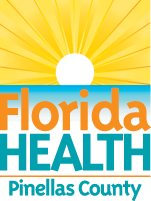 The Florida Department of Health in Pinellas County (DOH-Pinellas) began the community health improvement planning process in 2012. Public health stakeholders in Pinellas County convened the Community Health Action Team (CHAT) in 2012 to serve as a steering committee for local health improvement planning. CHAT examined data and feedback gathered from Pinellas County residents as part of the 2012 Community Health Assessment to identify how the community can work together to improve health. Using the Mobilizing for Action through Planning and Partnerships framework, CHAT identified access to care, behavioral health, health promotion and disease prevention, and healthy communities and environments as priority areas for the Pinellas CHIP. CHAT members and additional community stakeholders formulated goals, strategies, and objectives to address each of these priority areas. They also created an action plan that outlines how to achieve objectives. Together, these documents make up the 2012-2017 Pinellas County Community Health Improvement Plan (CHIP). A CHIP is a long-term, systematic guide to addressing public health problems in a community. The purpose of the CHIP is to define how DOH-Pinellas and the community will work together to improve the health of Pinellas County residents. The Healthy Pinellas Consortium convened in 2013 to oversee two of the CHIP priority areas: health promotion and disease prevention and healthy communities & environments. The Consortium focuses on policy and environmental changes that help reduce obesity and chronic disease by making safe physical activity and nutritious foods accessible to all residents. As a member of the Pinellas community, we welcome your feedback on how to achieve the health improvement goals. To become involved, contact us.